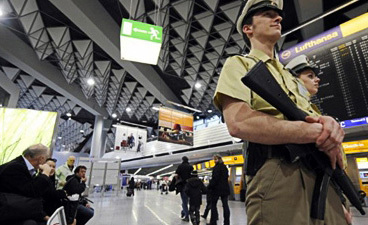 Police on patrol in Frankfurt airport. Vietnamese ambassador to Turkey Nguyen The Cuong was held at a Frankfurt airport for around two hours as he did not declare US$20,000 as per local regulations there. Cuong told Tuoi Tre that when he was on the way from Ankara (Turkey) to Hanoi to attend a meeting, he was held at a Frankfurt airport where he was in transit. The diplomat added custom officials in Frankfurt seized $3,500 out of the $20,000 and they said “that is a deposit, not a fine and [I] can get it back”. Cuong said he was not aware of a German regulation that flight passengers have to declare cash of a value exceeding EUR10,000. The whole incident took place within around two hours, the ambassador added. The diplomat complained about German authorities’ violation of Vienna Convention on diplomatic immunity. “They did not respect the Vienna Convention on diplomatic immunity. The Vietnamese Consulate at Frankfurt has timely reacted to this issue…,” he said. According to Cuong, the $20,000 includes money that staff at the embassy gave him to send home for them and some money to support flood victims in Vietnam.